this “new tycoon” stock is already beginning to soar. and doubled in January 2019. Wealth and tycoons are piling up faster in Singapore than anywhere in the world. Investment assets have jumped an amazing 1,120% since 2000 putting this city-state on a pace to overtake Switzerland by 2020. Why is a country one-fifth the size of Rhode Island beating the pants off London, New York, Shanghai and Zurich? I am convinced that what created this new tycoon wealth will supercharge your portfolio. This was confirmed during my three-week Pacific Rim investment expedition. I had fascinating meetings with tycoons, bankers and ambassadors but the best meeting—bar none—was with the CEO of a leading private banking firm in Singapore—the financial capital of Southeast Asia. Here new tycoon clients are whisked into opulent conference rooms graced with stunning modern art plunking down a minimum of $20 million cash just to open an account. That’s real tycoon wealth. A major source of new tycoon wealth comes from a remarkable but simple investment strategy I call the New Tycoon Blueprint. This blueprint now targets Asia and emerging markets at the ever-shifting center of diplomacy, international politics and capital flows. I will share this blueprint with you in a moment but first, let me reassure you that you don’t need any special background or education to follow the new tycoon blueprint. In fact, you’ll need to unlearn some things because while you were getting book smart, the new tycoons were plunging into the capitalist jungle—getting schooled and street smart. This goes a long way to explain just how different new tycoons are from the gray executives that fill the canyons of Wall Street. Executives are hesitant while tycoons are opportunistic. Executives “allocate” capital to “maximize” profit while tycoons put capital to work to build enterprises, empires and wealth. Executives follow conventional wisdom. Tycoons challenge it. Executives are cautious. Tycoons are risk takers, move quickly, and keep 3-4 steps ahead of the competition. So just what are the secrets of the new tycoons? And why does whatever they touch seem to prosper? In short, they think more independently, use the very best information, and then act boldly. New Tycoons know the gap between perception and reality is where fortunes are made. New Tycoon Reality #1: The new billionaire tycoons grasp that wealth and capital, power and diplomacy are making a dramatic pivot to emerging markets. But, the perception that it’s all about China is dead wrong. Just as the 20th century was centered on the Atlantic, the 21st century belongs to the nations and consumers bordering the Pacific Ocean—and that includes America, Japan, Australia and Latin America. New Tycoon Reality #2: Where the West sees chaos, turbulence and poverty, the new tycoons sense emerging growth, profitable change and opportunity. They don’t need a think tank to tell them about the rise of the consumer middle class in the Pacific Rim and emerging markets—they see and profit from it every day. New Tycoon Reality #3: While this economic pie of $6 trillion in new spending power is enormous, the new tycoons would laugh at investing in traditional blue chips like Procter & Gamble to capture this growth. They invest in the next blue chips with home court advantage or monopoly power to capture the biggest slice. New Tycoon Reality #4: The new tycoons are real capitalists like the American tycoons of the early 20th century. But putting their own money on the line makes them more conservative than their bureaucratic, clerkish, gray descendants that manage Fortune 500 companies today. New Tycoon Reality #5: They exploit and profit from the truth that emerging and frontier markets swing sharply between euphoria and despair. For example, a young Argentine walked into the office of George Soros in 1990 and convinced him to invest $10 million in Argentine real estate. Several years later, this contrarian gambit became $190 million and it eventually turned into a fabulous $500 million real estate portfolio. New Tycoon Reality #6: New tycoons look beyond the headlines that always mirror conventional wisdom. In fact, they love bad headlines because they scream opportunity and value. New Tycoon Reality #7: New tycoon capitalists pay close attention to politics and diplomacy since they realize that shifts create opportunities and most countries are a blend of free markets and state capitalism. New Tycoon Reality #8: New tycoons are both street smart and global—looking beyond their home country for opportunities worldwide. New Tycoon Reality #9: These new tycoons build their fortunes by paying very careful attention to price—investing in high potential opportunities only when they are “on sale.” This minimizes downside risk and maximized upside potential. New Tycoon Reality #10: Rather than just react, tycoons anticipate, thinking 3-4 steps ahead. This is the difference between you being a king and a pawn. This is why they invest in companies like the “U.S. Steel of Mexico” which rocketed 96.3% in one year and the “Ford of India,” up 70.4% in one year—beating the emerging market index by up to a 10-1 margin. While you may not be a tycoon yet, I will soon give you a blueprint to invest like one. This is the same blueprint I used to carefully select The New Tycoon Stock for the Pacific Century recommendation (more about that in a moment). Although this new blue chip stock trades on a U.S. exchange, it is virtually unknown and perfectly positioned to capture emerging market consumer boom growth. Are You Ready to Follow the New Tycoons? 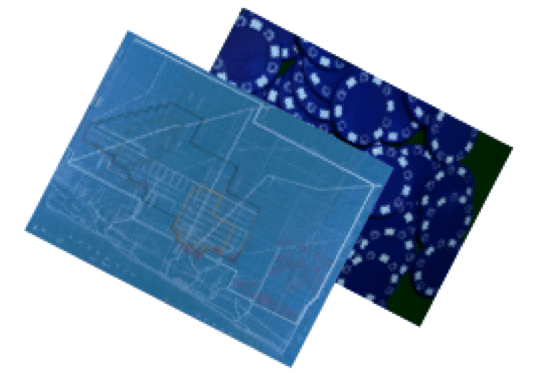 Now, quite frankly, following the new tycoon blueprint is not for everyone. Yes, there is a bit more risk investing in the leading food company of Singapore, Chile, Australia, Panama, Indonesia, China, Malaysia, Mexico or Taiwan than investing in Kraft. But the potential rewards are far, far, greater. In short, just imagine the opportunity right now to invest in the Johnson & Johnson stock of a century ago. This is how the new tycoons are building their fortunes at lightning speed while most investors keep falling further behind. This is your opportunity—let me tell you how to seize it. First, you’ll need to start thinking differently and getting ahead of the crowd. You need to challenge conventional wisdom since opportunity is the difference between perception and reality. You also need first-class investment intelligence on where global financial and political capital is moving. You need to find, as early as possible, the quality companies best positioned to capture this growth. We need to start at the very beginning of the creation of the Pacific century and then drill down to the New Tycoon Blueprint and then we’ll get to my New Tycoon Stock for the Pacific Century. Once I naively believed we live in a free market global economy where companies competed fairly on a level playing field. That was until I studied Japanese business practices for a year in Tokyo, worked with the U.S. Congress and the U.S. Treasury and then was appointed to represent America on the board of the Asian Development Bank in Manila. How a small privileged elite club of families that I got to know, command the controlling heights of emerging market and Asia-Pacific economies—and why what they touch turns golden. How companies are not treated the same at all—with some enjoying the benefits of being owned or closely allied with governments and key decision makers. In a “semi-market, state capitalism” world, governments and influential business leaders play a key role in deciding who and which companies will win or lose. 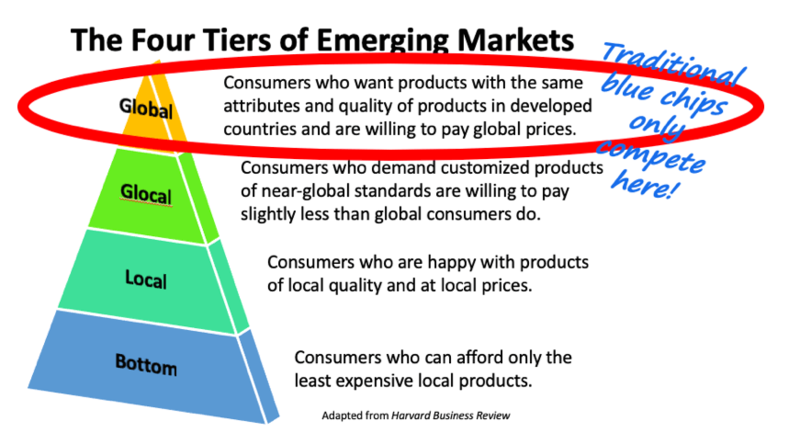 This is especially true in emerging markets, where 83% of the world’s consumers reside. This means investing in overseas companies with abundant talent and initiative, a great product or service, and the capital to execute a well thought out plan is sometimes not enough for big and lasting gains unfortunately. In short, it is to your great advantage to invest in companies with strong influence within the country’s business and political power structure. This is one of the four drivers behind what I call the “Stock for the Pacific Century”—my quest to pick the stock at the heart of the emerging market consumer boom. Here is a brief overview of the four drivers with their weightings in case you would like to try your hand in picking the best stock to capture decades of emerging market consumer growth. Is the company strategically placed at the heart of dependable high consumer growth, providing key goods and services tied to vital economic and security interests? Does the company’s services tie in nicely to free trade initiatives? Do the company’s shareholders include investors that can help it overcome and even benefit from regulatory or political challenges? Is the company rapidly building its products and book of business in areas where the growth trends are deep and durable? Is the stock price moving upward and demonstrating clear relative strength? Does the company have a clear and sizable leadership position in the industries that it competes in? Does the company enjoy “home court” advantage and a wide “moat” and even better a monopoly or semi-monopoly position? Does the company’s stock valuation trade at a reasonable price compared to its record and growth prospects? Here is my new tycoon blueprint. Make it yours. This New Tycoon Blueprint is centered on investing in new tycoon blue chips. The best way to describe a new tycoon blue chip is to contrast it with traditional blue chip stocks. Blue chip companies are huge, global, stable, mature companies based in Western markets with slow and steady sales and profit growth plus decent dividends. One famous blue chip is Johnson & Johnson (JNJ). Its international sales have tripled during the past decade but its stock has performed poorly. Another example is giant Procter & Gamble with $84 billion in annual revenue. P&G’s average annual growth over the last five years is less than 2% and it is losing market share in a majority of its businesses. While having blue chips stocks like J&J and Procter & Gamble in your portfolio may help you protect your wealth, you need to think a bit more boldly to put some sizzle into your portfolio and build real wealth. Advantage #9 Many will grow into substantial companies – the average market value of top 30 emerging consumer companies is $27 billion. Advantage #10 Operate in countries that avoid the high debt, high deficits and poor demographics that plague well developed countries. These new tycoon blue chips also capture domestic markets that blue chip multinationals like KraftHeinz completely miss. Just take a look at this chart showing how emerging tycoon blue chips have an inside position to grab 75% of emerging consumer markets that traditional blue chips leave on the table. In a moment, you’ll discover how to gain access to my best new tycoon blue chip idea. A stock completely off the radar screen of even the most sophisticated investors. The new tycoons of today can move much faster to build great companies and wealth in a shorter time frame. There are a three primary reasons for this. New tycoons can develop new technologies with huge markets sitting right in front of them. This age of technology and global markets allow them to scale up in months to levels that used to take old tycoons years—even decades—for them to accomplish. Larger and more sophisticated financial markets allow new tycoons to access great amounts of capital quickly. The old tycoons had to go to banks on bended knee and then mortgage their factories. Let’s now take a look at my new tycoon blue chip stock recommendation that I believe could very well be the best stock of the Pacific Century. Why do I view its future so favorably? First, its market is perhaps the most strategically important sector in the world—the key to capturing the commanding heights of the global economy. It will not only clean up the environment but will create millions of well-paying jobs. The market has grown at an astounding 1,883% in just four years—and it’s just getting started. In January 2019 alone its market more than doubled. The growth potential is absolutely staggering. Less than five years old, this high tech company has already tapped global financial markets for capital and is backed by influential companies and institutional investors. Importantly, its tycoon founder has strong ties to the “powers that be” and the company has “preferred status” in the competition to be a leader in this critical industry. In addition, the company has demonstrated it can meet and exceed demanding expectations to deliver quality products on time. And it has the opportunity to become a global brand well beyond Asia. I’ll tell you how you can get my new exclusive briefing and discover the identity of this new tycoon stock for the Pacific century in just a moment. While U.S. blue chips are mature companies in mature markets, the new tycoon blue chips are mature companies in high-growth, emerging markets. These tycoon blue chips offer you the great balance sheets, talented management and 3%-4% dividend yields of traditional blue chips plus much higher growth and significant upside potential. And many of these companies are already considered blue chips in their own countries and are listed on U.S. stock exchanges. So there’s no confusion let me say it here—these are not small companies by any means. The average market value of the top 30 emerging market consumer companies is $26.8 billion. Many emerging markets also largely avoid the 3-D syndrome—(high) debt, (high) deficits and (poor) demographics—that plague well-developed countries. This is why Indonesia’s debt is actually declining and Chile has a huge rainy day fund in place. And remember, emerging markets are not at the fringe but at the heart of the global economy. According to the IMF, the total production of goods and services in emerging markets is on pace to exceed that of developed nations by 2020! Just imagine investing in Johnson & Johnson stock of a century ago. This is how the new Forbes billionaire tycoons are building their fortunes at lightning speed while most investors keep falling behind. And you can do this by becoming a subscriber to Cabot Emerging Markets Investor. Over the past three decades, Carl Delfeld has held senior positions in business and government, was a Forbes columnist and Forbes Asia and emerging markets editor, and author of Think Global, Grow Rich and Red, White & Bold: The New American Century. He began his career with the First National Bank of Boston in London later becoming director of the Japan/South Korea group. He was also vice president and Asia director for the investment bank Robert W. Baird & Company in Tokyo, Hong Kong, and Sydney. From this position, he picked stocks for the legendary Julian Robertson of the Tiger Fund. Carl was next an Asia specialist and international economist to the U.S. Joint Economic Committee, and consultant on emerging markets at the U.S. Department of the Treasury. He was then appointed by President George H.W. Bush to be U.S. Representative to the Asian Development Bank in Manila, where he led economic and investment missions throughout the region. 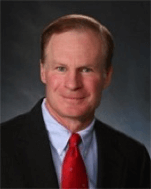 Carl was co-founder and vice chairman of Pacifica Holdings, international strategist with UBS Financial, was a member on the US National Committee on Pacific Economic Cooperation and the Japan-US Friendship Commission and was chairman of the Asian Pension Forum. He earned a MALD in International Business and Oriental Studies from the Fletcher School of Law & Diplomacy, Tufts University, with study or research at Sophia University and Keio University in Tokyo. On the heels of the Treaty of Paris, the Empress of China, packed with 30 tons of ginseng, set sail from New York on February 22, 1784. In August the ship sailed up the Pearl River with the stars and stripes unfurled, the first time an American vessel had been in this part of the world. The Chinese called them the “New People” while the Dutch and British traders eyed them suspiciously. The Empress of China left the Orient just after Christmas and arrived back in New York in May, 1785 loaded with 800 tons of tea, 20,000 pairs of trousers, and a huge stock of porcelain. This very risky fifteen-month journey yielded a return of only 25%. A pretty paltry sum for the duration and risk of the expedition. The Cabot Emerging Markets Investor aims to do a lot better for you than this, and with less risk. Here are just some of the big, emerging and profit-filled opportunities, from around the globe, I have been working on for your future benefit. Clean energy and transportation innovation is yielding significant growth investment opportunities from clean energy to electric vehicles. China buys 30% of Australia’s exports and boatloads of its oil, gas, coal and iron ore. Australian citizens enjoy per capita wealth five times that of Americans. While the perception has been that Asia is all about China and India—the reality is that Southeast Asia—a booming region made up of ten countries with a population of 625 million has also done very well indeed. My Southeast Asian stock recommendations have outperformed China and India combined by a whopping 300%. The high demand/dwindling supply fundamentals underpinning investing in the water sector seem unassailable. And the World Bank estimates that global water demand is doubling every 20 years. Rather than invest in slow growth, highly regulated utilities, we are looking for attractive property company plays with substantial water rights. The best hedge on inflation and geo-political uncertainty is investing in timber, commodities, strategic metals and rare earths. Not long ago, timber gained 233% while stocks fell 70%. Food represents 30%-70% of emerging market consumer spending. Farms worldwide will have to produce more food in the next 50 years than they did in the last 10,000 years. Over the last decade, hundreds of global blue chip multinationals have left the NYSE and Nasdaq and sit undiscovered on the over-the counter market (OTC) also known as the pink sheets. Emerging blue chips offer us the same great balance sheets, 3%-4% dividends, and talented management of traditional blue chips plus much higher growth and upside potential. They also operate in countries that avoid the high debt, high deficits and poor demographics that plague many Western countries. In short, just imagine the opportunity right now to invest in the Johnson & Johnson stock of a century ago. This is how the new tycoons are building their fortunes at lightning speed while most investors keep falling behind. In 1975 there were only three cities in the world of over 10 million. 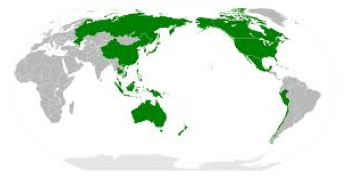 By 2017, there were 47, of which 28 are in emerging markets (China alone has 15!). This means that unless these countries build more airports, roads, railways, seaports and pipelines, they will literally choke on their growth. Morgan Stanley predicts that $22 trillion will be spent on these projects over the next decade. Emerging blue chips offer us the same great balance sheets, 3-4% dividends, and talented management of traditional blue chips plus much higher growth and upside potential. They also operate in countries that avoid the high debt, high deficits and poor demographics that plague many Western countries. In short, just imagine the opportunity right now to invest in the Johnson & Johnson stock of a century ago. Forbes reports that U.S. investors hold around 15% of their stock portfolios in foreign companies. Research suggests your exposure should be almost double that. If you’ve been heavily overweight in domestic stocks, now is an excellent time to add some international with the Cabot Emerging Markets Investor. Not because the U.S. market is about to enter a bear market—nobody knows when that will happen—but because foreign stocks are cheap relative to U.S. stocks. “I’ve been in the investment field for over 13 yearrs and I don’t like to read stuff from many, but you are another story. Keep up your good work. You make a lot of sense.”—Adam W.
“Great reading, very interesting & a lot of common sense! !”—Aidan F.
“Your service is first class and your global approach has been very profitable.”—Conrad F.
Cabot Emerging Markets Investor is published by Cabot Wealth Network which was founded in 1970 by Carlton Lutts, a disciplined investor with an engineering mind who developed a proprietary stock picking system using technical and fundamental analyses. Carlton personally researched and wrote the hugely influential Cabot Market Letter which recommended many big-time profitable trades. Since then Cabot Wealth Network has grown to become one of the largest and most-trusted independent investment advisory publishers in the country, serving hundreds of thousands of investors. 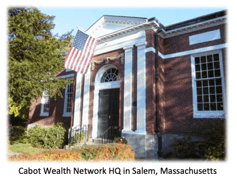 The headquarters for Cabot Wealth Network is in Salem, Massachusetts, which first made its money through global maritime trade, particularly to China and the far East. Salem resident Elias Hasket Derby’s first ship landed in China in 1786. When he died 13 years later he was the world’s richest man with an estate of what some have said would exceed $31 billion in today’s dollars. ✓ The New Tycoon Stock for the Pacific Century, my new, exclusive briefing on my hidden U.S.-listed stock recommendation you won’t want to miss out on. ✓ Twice monthly issues bringing you my subscriber-only analysis, featured stocks, portfolio updates and more. ✓ Email updates and trading alerts between issues. 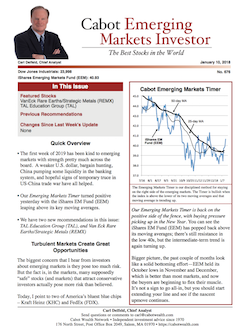 ✓ 24/7 online access to the private Cabot Emerging Markets Investor website for access to your current issue, the latest trade alerts, portfolio updates, special reports, the full library of back issues and more. ✓ Direct email access to me for answers to your emerging markets investing questions. 100% satisfaction guarantee: if you’re not completely satisfied you may cancel your subscription at any time in the first 30 days and receive a full refund, 100%. Act now. Your investing profits are the result of buying great stocks and selling them at the right time. Our recommendations will make you a lot of money, but only if you take action. Don’t miss out. P.S. The emerging markets of the world have ENORMOUS growth ahead. While China is just one of the emerging markets where the demographics and economics guarantee huge profit opportunities for investors, it is the clear leader at this point. The stock I am recommending is an emerging leader in a rapidly growing, global marketplace and this Chinese company has a “home field” advantage that will throw even more fuel on the fire. And it is positioned to make big money for its investors. Discover more about this amazing opportunity in my free briefing – The New Tycoon Stock for the Pacific Century when you join today. P.P.S. Get an inside track on making big money in emerging markets. Even with a modest portfolio of just $10,000, a single trade in our portfolio can more than pay for your subscription to Cabot Emerging Markets Investor many times over. Join today to receive your FREE briefing and your key to emerging markets profits.